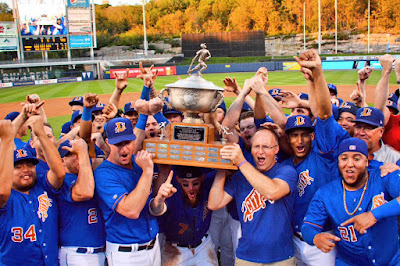 Watching Durham Bulls Baseball: Bulls Win the Governors' Cup ... Again! 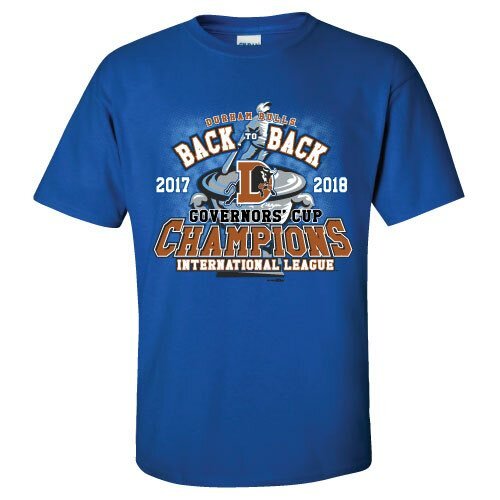 Bulls Win the Governors' Cup ... Again! For those who watched the game you know that you saw some exciting, very well-played baseball on the part of the Durham Bulls. The Bulls attacked pitchers who'd given them trouble in the past (the Bulls had never gotten a base hit off of the RailRiders' Domingo German before). Home town lad Joe McCarthy (who'd watched from the stands when the Bulls won the Governors' Cup at the same field last year) had a terrific game accounting for 4 of the Bulls 6 runs. Rob Refsnyder continued his great series. Refsnyder had actually played for the RailRiders last year before going on one of those crazy baseball treks through the Blue Jays and Indians systems enroute to the Rays and then the Bulls. As a team the Bulls continued clean defensive work. They only allowed one unearned run over the nine post-season games. The glove work of young shortstop Jake Cronenworth, who'd only came up from Montgomery on September 2nd, was particularly impressive. Lefty Kyle Bird was the opener and for the most part Manager Jared Sandberg's apparent plan to limit his pitchers to no more than one time through the batting order was followed. Bird went for 10, but he managed to deal with runners on base quite well. Surprisingly, the only pitcher to allow a run was the spectacularly successful Colin Poche (he needs to visit the Rays before the end of the season). Austin Pruitt got into the game to finish up the last two innings. Repeating a Governors' Cup championship is a big deal. 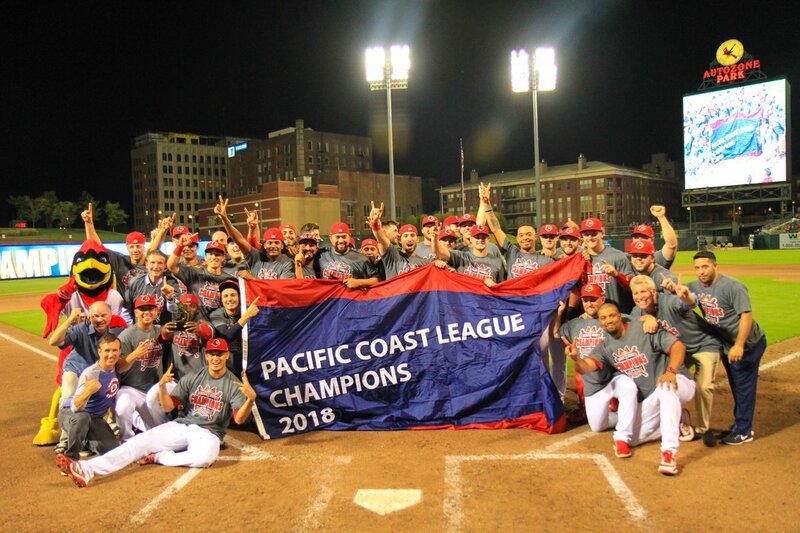 That the Bulls did it a the same baseball field against the same team (the Scranton/Wilkes-Barre RailRiders) is one of those quirky little details that will likely be remembered for a long time. While the lineup during the playoffs was fairly stable, the pitching crew was not. The Bulls used 14 different pitchers ranging from a high of 6 appearances by Jordan Harrison (7 innings) to Riley O'Brian's AAA debut at 2 innings. Austin Pruitt's two starts and one relief appearances totaled 13⅓ innings for the most innings pitched by a Bulls pitcher. Ian Gibaut was an odd man out. He faced four batters without getting an out in game 2 against Toledo and was on the mound in game 1 against Scranton/Wilkes-Barre when the rains came and the game was delayed. Those were his only appearances. In the regular season he made 48 mostly very successful appearances. After the game the Bulls headed off to Columbus, Ohio where they will play the Memphis Redbirds (not to be confused with the Red Wings a Toronto affiliate), the St Louis Cardinals AAA team. Again. This is yet another oddity of the season. 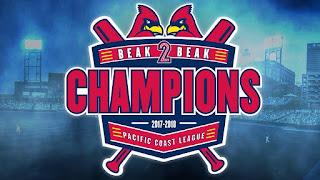 The Redbirds are also back-to-back champions (although they are cleverly calling it a "beak-to-beak" championship). I do have to note that the Bulls are already selling the t-shirt. 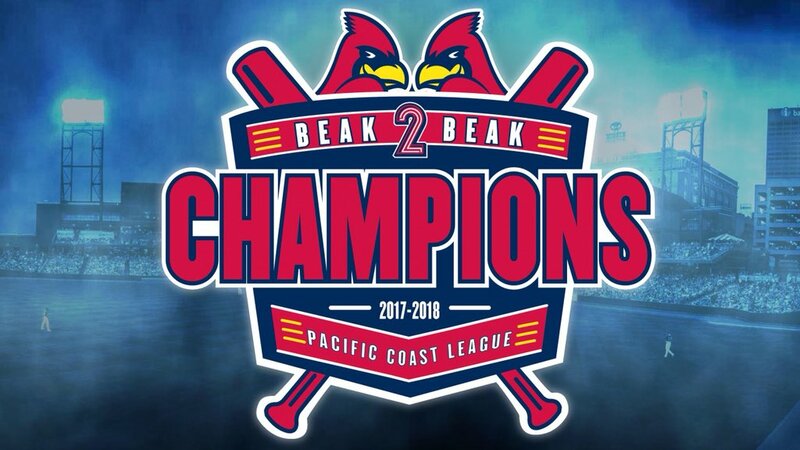 The Redbirds are wearing theirs, but the image isn't yet up in their store. So, Tuesday night, NBC Sports Network. First pitch 7:05. Patrick Kinas will probably be broadcasting on WRAL radio (but he was not for the championship game, grumble, grumble, grumble, had to go with streaming which can be annoying). Could be fun. Would be nice to have another AAA trophy.